Registration is open for the 2017 PFI Annual Conference! 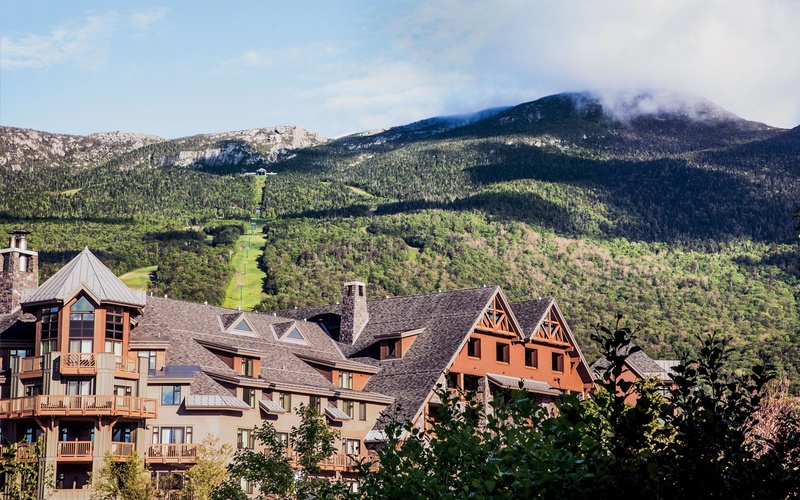 We hope you will join us in Stowe, Vermont, to network with friends and peers from the pellet fuels industry and learn about all the current market trends. reservation at 888-478-6938 or online. Below is an excerpt of the press release issued to announce Lignetics' acquisition of the Marth Companies. Denver, CO - Today, Lignetics, Inc. ("Lignetics") announced the acquisition of the Marth Companies LLC, which includes manufacturing plants in Marathon, Athens, and Peshtigo, Wisconsin as well as the Marth Transportation trucking assets, giving Lignetics a strong position in the Wisconsin and upper mid-west markets. Lignetics is the largest residential wood pellet manufacturing company in the U.S., which now has a production capacity of approximately 650,000 tons of wood pellets per year. The company is the only pellet manufacturing company that has wood pellet manufacturing plants in the East, Central, and West geography with nine plant locations in the states of Maine, Oregon, Idaho, West Virginia, Virginia, Wisconsin. Brett Jordan, CEO of Lignetics stated, "Completing this acquisition is a significant step in continuing to execute our strategy to expand our geographic footprint in the U.S. and remain the market leader in the residential wood pellet industry." Jordan added, "The Marth Companies have long been the leader in the Wisconsin market with a diverse product offering of high quality wood products and relationships with an amazing group of customers managed by a very talented team, whose goal is to continue to provide a superior product and excellent customer service." Jerry Natzke, owner of the Marth Companies LLC will stay on to manage the three Wisconsin plants and the trucking operations as General Manager of Lignetics central division. Jerry said of the transaction, "After careful consideration, it was clear to me that Lignetics and Marth have a shared vision of how we can create a business that can serve our customers, vendors, employees, and shareholders even better with merged operations. I am excited to bring these businesses together and continue to help build on the legacy of the Marth business as part of a larger entity." Jerry will also continue with a minority ownership position in the new combined entity. On May 11th PFI and New England Wood Pellets (NEWP) hosted a regulators tour of the NEWP Jaffrey wood pellet production facility. The purpose of the tour was to better familiarize regulators with how wood pellet production facilities work and how the PFI Standards Program is implemented at the site to control quality as well as materials used in the production of wood pellets. In attendance were representatives from US EPA, NESCAUM, MA DEP, NH DES, VT DEC, VT FPR, VT DEC, ME DEP, NYSERDA as well as representatives from PFI, NEWP, and Timber Products Inspection. The event started with about 4 hours of conference room presentations and discussion to provide an overview of how wood pellet production facilities work and how the PFI Standards Program is implemented at the site to manage product quality as well as how the auditing agencies and labs provide oversight. Afterwards a plant tour was conducted where attendees were able to see an example of a plant that fully implemented the PFI Standards Program. Attendees walked away with an appreciation for the complexity of the program and its effectiveness for controlling wood pellet quality. With a new county kitchen and several capital projects going on throughout the county, members of the Economic Development Committee heard about an alternative heating source during its May 8 meeting. Leslie Karasin from the Northern Forest Center of the Adirondack Model Neighborhood Wood Heat Initiative spoke to members of the board, telling them about the wood pellet heating services they provide to municipalities and non-profits. "Our goal was to discover how can we heat our homes and buildings with the forest resources we have in the region," Karasin said. "All sorts of entities have benefited from he installation of these boilers." Karasin, based out of Concord, N.H., said her company provides heating services to an area covering parts of New York, New Hampshire, Vermont and Maine. Demand for industrial wood pellets in South Korea is set to grow 'significantly' over the next fifty years, according to a new white paper from FutureMetrics. Despite this continued growth, South Korean utilities are likely to stick to short-term tendering strategies for securing wood pellet fuel for the foreseeable future, even though the lack of long-term agreements presents challenges on the supply side. Authored by William Strauss, the white paper explains the growth in demand for industrial wood pellets in South Korea and why it is expected to continue. A company that plans to turn sawmill residue into wood pellets for heating fuel to be sold throughout New England is poised to establish itself in Sanford. The owners say they plan a 24/7 operation with as many as 25 employees. T & D Wood Energy, made up of the father-and-son team of Dean and Tony Wood, got a warm welcome from Sanford City Council on Tuesday. They're a new company but one with history - they are the fourth and fifth generation of F.E. Wood and Sons in Baldwin, a company that owned a sawmill and pallet mill for 130 years but ceased operations in the early 2000s, said Tony Wood..
After some delay, Gov. Inslee signed a bill Tuesday that will allow KapStone's Longview mill to profit from selling biomass renewable energy credits. KapStone Paper and Packaging Corp. stands to earn hundreds of thousands of dollars annually under the legislation. Originally Inslee had been scheduled to sign the bill last week, but his office pushed it back for further review. The governor had previously vetoed a similar bill last year out of a concern that it would allow biomass energy to out-compete other renewable energies, such as wind and solar power.